Shopmobility member Event Mobility, a charitable organisation which loans wheelchairs and scooters to elderly and disabled people at events across the UK, is hoping to raise money for its services with a difficult cycling challenge. TGA, a mobility scooter specialist and member the of the British Healthcare Trades Association (BHTA), works alongside Event mobility to help them with transportation to and from the events, which helps with the financial costs of running its scheme. However, with increased pressures on Shopmobility schemes, extra initiatives are often undertaken by members to help raise additional funds and replace vital mobility products. In light of this, Event Mobility’s Dr Mark Warren will be taking on a colossal cycling challenge. On the 24th July 2019, he will be undertaking a solo ride from Lands’ End in Cornwall to John o’Groats in Northern Scotland to raise money to purchase additional mobility scooters. Dr Warren will also be partaking in this massive cycling challenge to celebrate his 50th birthday, covering 1,173 miles over 11 days to complete the journey. 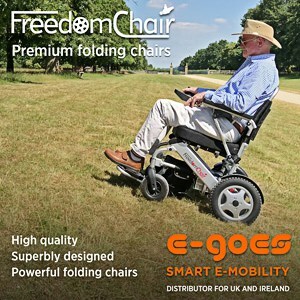 He is hoping to raise £5,000 in funding to help Event Mobility continue to go to events and shows to provide essential equipment for people with reduced mobility. To contribute to Dr Warren’s fundraising, people can follow this link to his JustGiving page.